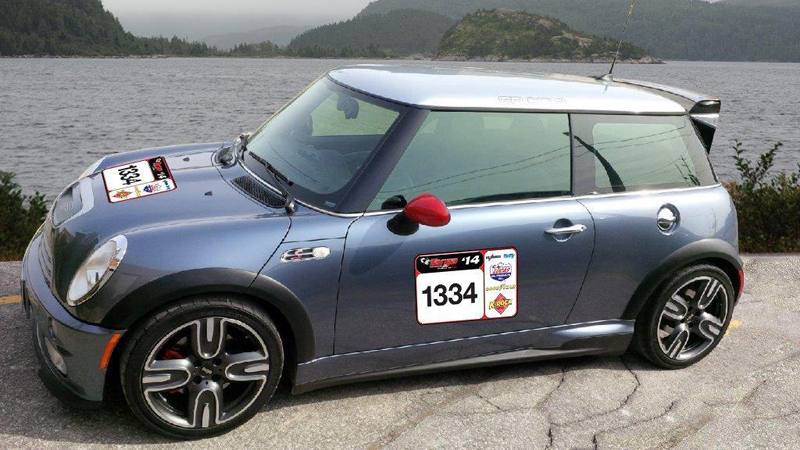 This entry was posted in news and tagged MINI Canada motorsport Targa Newfoundland on September 20, 2014 by James Day. The Canadian 2014 Targa Newfoundland rally took place from September 14-19, 2014. Sunday was the prologue, followed by five very tough legs around St. John’s, Newfoundland. John Hume Sr. and Craig MacMullen won the Grand Touring, Equipped class in their 2006 MINI JCW GP. Another GP driven by/navigated by Cody Morch and Nicole Troster took 2nd place in the GT, Equipped class. In the Modern class, the team of Mepham and Solecki just missed the podium at 4th place in their MINI Cooper S JCW. The three cars ahead of them were a Subaru WRX STI, BMW M3, and a Scion FR-S, with a Lotus Exige behind them in 5th. See all of the results at www.targanewfoundland.com. View videos of each stag at targanewfoundlandnews.com.